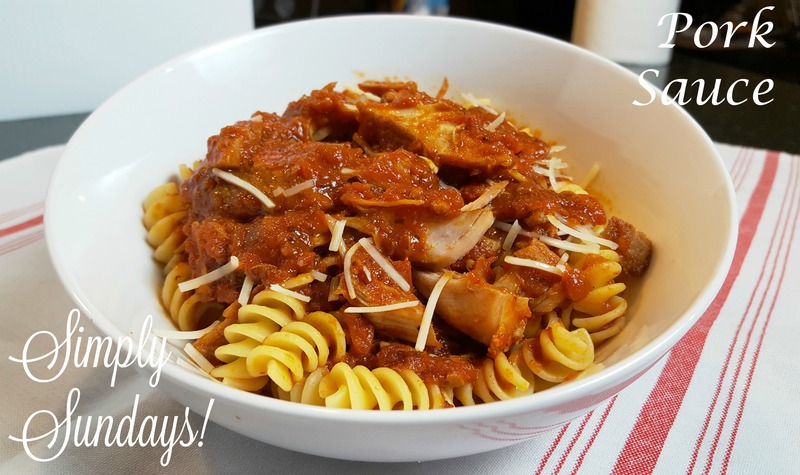 Pork Sauce – Simply Sundays! Why not make the whole sauce with that delicious pork! Thank you for the inspiration Grandma Mary! Top with some shredded parmesan cheese!